I’ve been stockpiling fabric for some time, but specifically intended for skirt making for a couple months. I have a few staple skirts that I wear all the time through the summer–some of them quite simple & so comfortable. When I’m at a store with a discount fabric section I’m more or less obligated to buy 1-2 yards knowing it will at least be enough for children’s clothing, or a skirt. Well. This all brings me to confessing that I also recently made a dress. I was so stoked about it & anxious to finish it in time for a party where I just knew I’d impress everyone with an adorable dress made by my own resourceful hands. And I did finish, but it wasn’t quite perfect, an adjustment needed to be made to make things line up right & this totally knocked the wind out of my sails (not to mention the less than over the top excitement I got from those to whom I revealed it privately. There was no harsh critique, or condemning look, just felt a reaction that led me to believe the dress wasn’t as great as I’d thought)…so. It sits, awaiting the finishing touch that will make it wearable & good. This has to do with the skirt because skirts are SO much less in your face. I can wear a skirt & someone may notice, but if I don’t want them to I can power it down with a flashier top. A dress–now that’s all or none, unless it’s cardigan weather and, it’s not cardigan weather–not even evening cardigan weather, or wee-small hours of the morning cardigan weather. This is becoming a wordy post for such a simple pattern. But it’s a great opportunity for you, sometimes I think you all miss out, due to my lack of worthwhile conversation pieces, on all my honestly inherited wit and sarcasm. I like to ramble & bramble, just ask anyone. 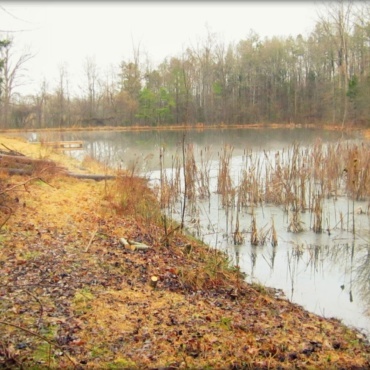 But, in my old age & strengthening wisdom that comes as a result, I recognize how misguidedly I’ve often spoken and so now try to error on the side of silence, especially in mixed company–i.e. the internet. So, simple-undaunting-nothing shocking in that-skirt pattern. Get your adorable (& cheap) fabric. Cotton is great, nothing stretchy. 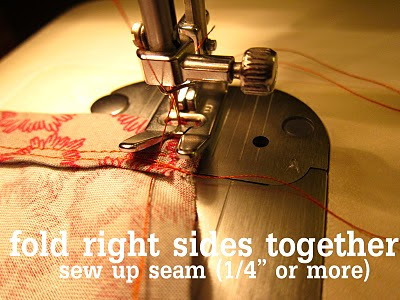 Fold in half, right sides together. Lay (fabric) on floor. 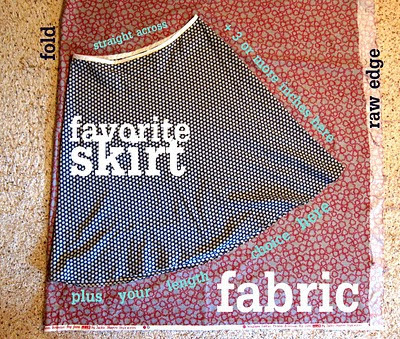 Find favorite skirt & situate so that one side is along the folded edge of the fabric. Measure out 3 generous inches from the side that is not along the fold & 1 inch above the waist line (make it a straight waist line if it’s not already). You can adjust the hem line by adding length there as well. Cut. 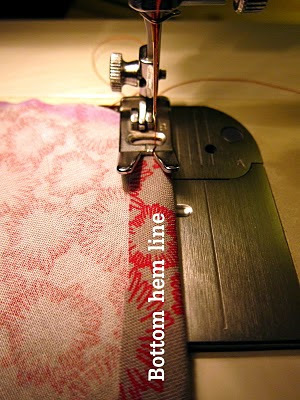 Once you’ve cut, open it up & sew up the hemline using the method of your choice. I fold. I rarely iron. Next? 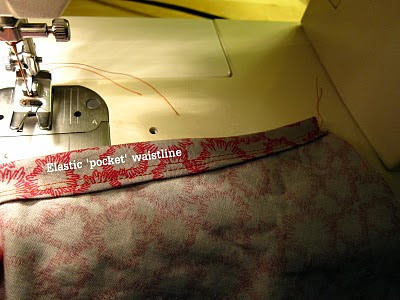 Waistline: fold over 1/4″ & iron or sew. 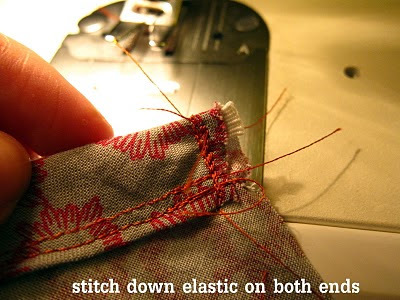 Fold down 1″ allowing a space for elastic to run & sew. Get elastic & wrap it around your waist. 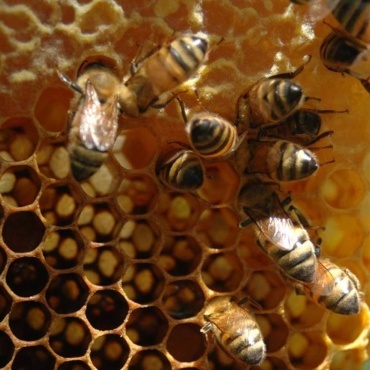 (tip: hold it together & trying pulling it down over your rump to see if there’s going to be enough give. You can also easily modify the skirt by adding a zipper to the seam). 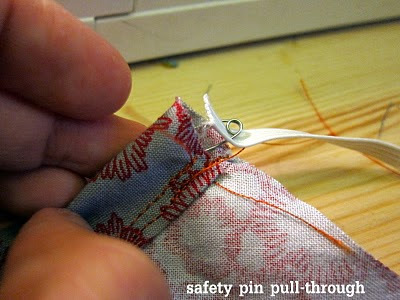 Using the safety pin threading method, pull your elastic through your waist seam & sew down on either end. Lastly, with right sides together stitch 1/4 inch seam (or 1/2 if you’d like) up the side of your skirt. Enjoy. Magnifique! Tres bien. No se nada de frances, lo siento. 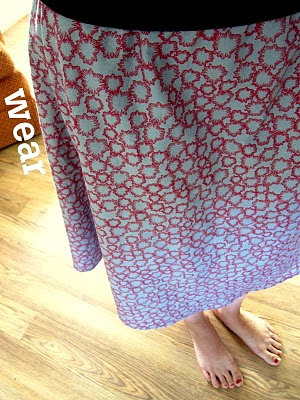 & I must give credit/thanks here b/c her simple pattern reminded me to refer to my favorite skirt & that got the ball rolling–quickly, which is key because when not enthralled there’s a danger I’ll move on before completion. Love this, and how simple. Thanks for sharing. I like the dress!!! I swear!!! I just didn't get it at first!!! 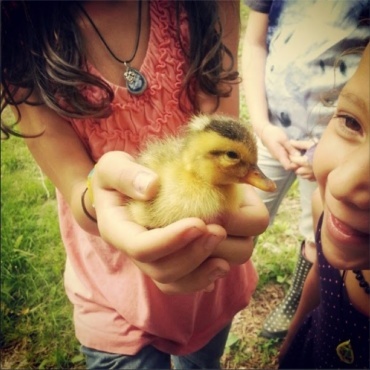 and we are all used to the rambling really…. Poor dress ! I bet it is better then you think it is.I am dying to try this I have a few extra pieces of fabric hanging around just for this purpose……I have to get my sewing mojo up ! I am saving this so I can come back to it. Thanks !!! Clearly, I need to make this skirt right this very minute. Tres magnifique!! Tambien no se nada de Frances pero me encanto esto! I have so many skirts I love and then there are the ones that sit in my closet because I'm ignoring them…time to purge and create ones I love! Gracias! Just finished my second skirt. I'm wearing it as I type this message. Thanks very much. I LOVE it. Oh My Word!!! I cannot believe how wonderful this is. I also cannot wait to make one! Thank you so, so, so much!!!!! I love this. I have a question. I am a "pattern" sewer and have used – but despise – zippers. Am I not understanding how the skirt would fit over one's hips if it is not jersey knit? Will the extra three inches give it the pull it needs to slide over? Thanks for your great idea, though! I just did one in jersey, but I would love to try it in cotton. So I am not the only one with dreams of "What a beautifully made frock" only to have it dashed by the fam and many needed alterations to what was really a simple dress… 🙂 I feel your pain sewing sister! On that note…this skirt is adorable!!! saw this on pinterest. I've been meaning to give this a try because I have a skirt that I love but it's really worn. Thanks for the tutorial! Saw this on pinterest…similar to the way I've been making skirts for my munchkin, not sure why it didn't click for a mommy version until seeing yours!! Thank you so much for the inspiration.